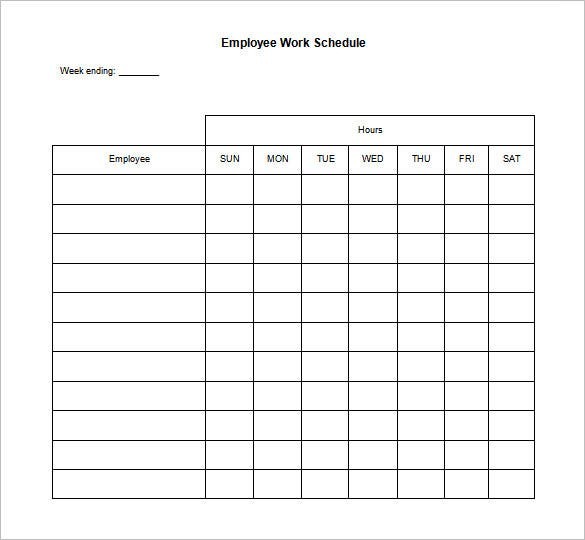 When your week at office is something of a hectic blurry of activities, monthly work schedule template helps you track down which task need to be done when. 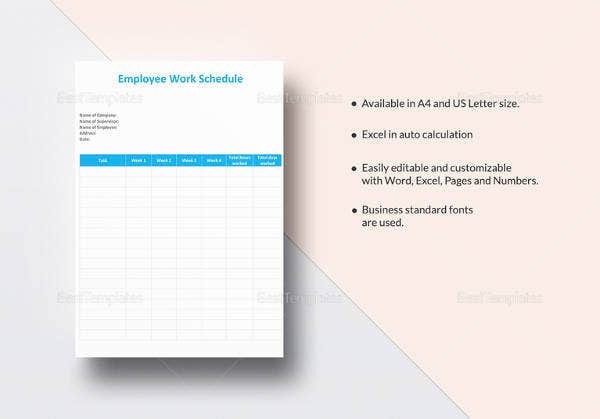 It helps you in avoiding forgetfulness to show up for a meeting, event or conference call. 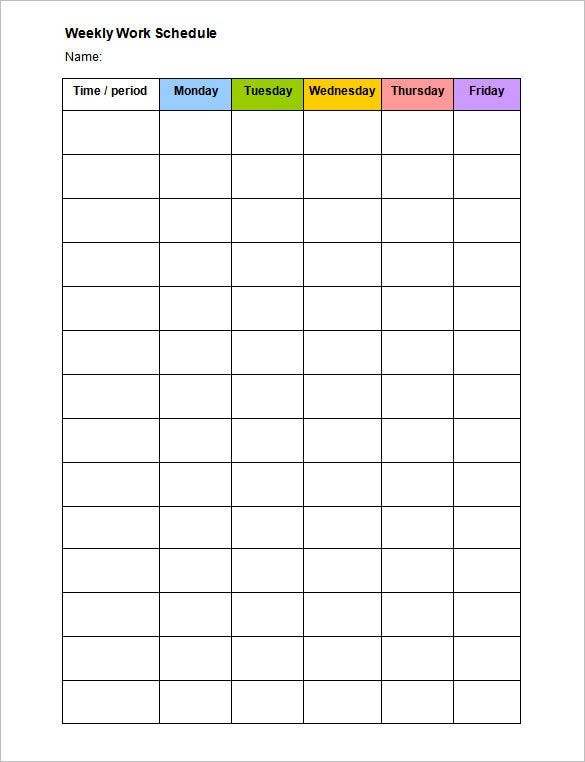 Even at home, you will be able to remain in control of things by keeping your life at home organized. 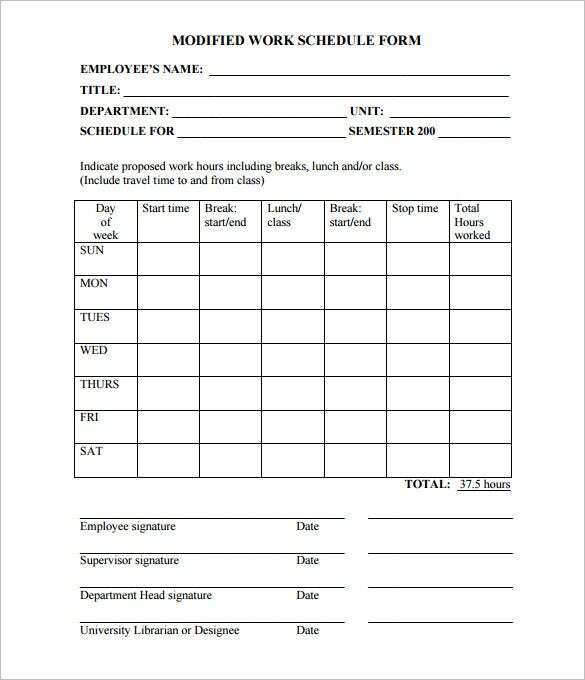 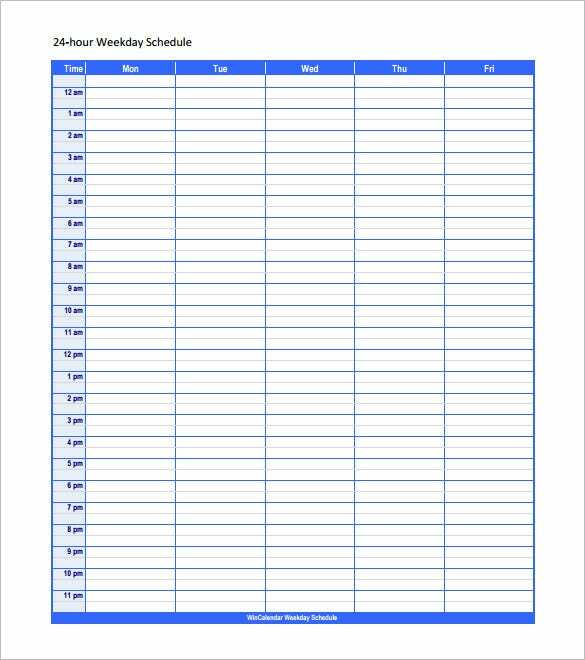 If you have an upcoming event(s) at a particular date, remember to jot it down in the free daily work schedule template. 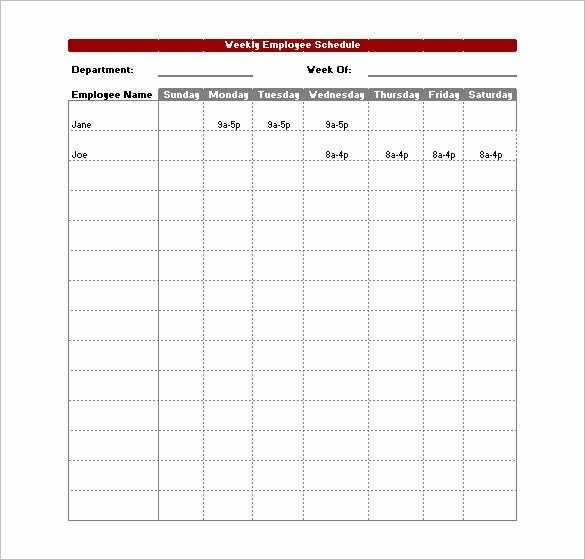 Whether it is a lunch meeting, formal affair, casual get-together with colleagues or any other event at your work, this daily schedule manager keeps you in control of everything. 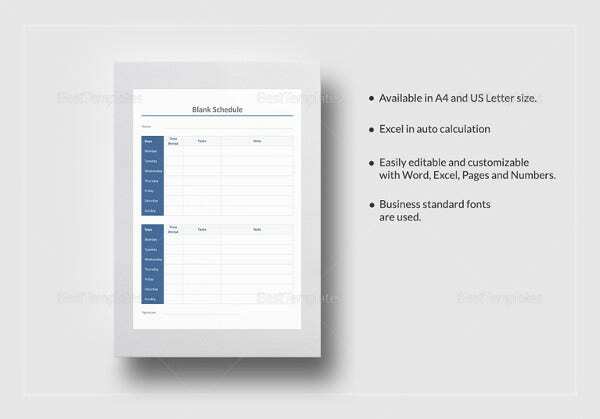 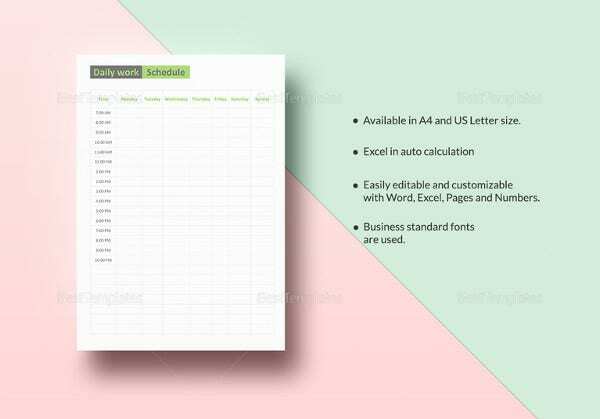 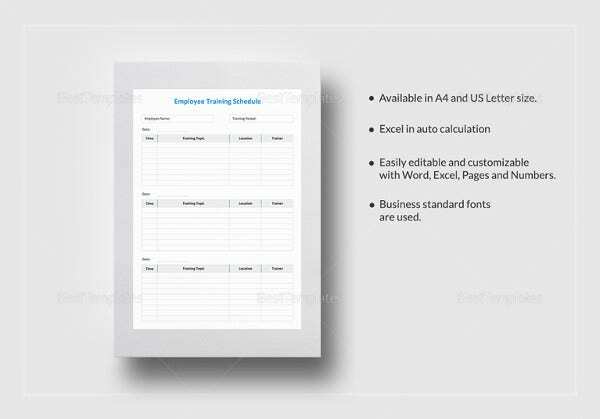 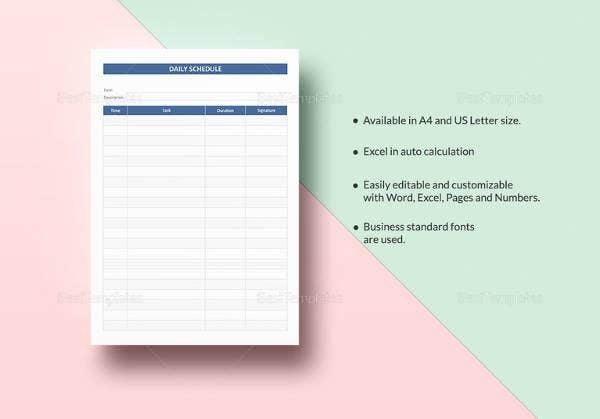 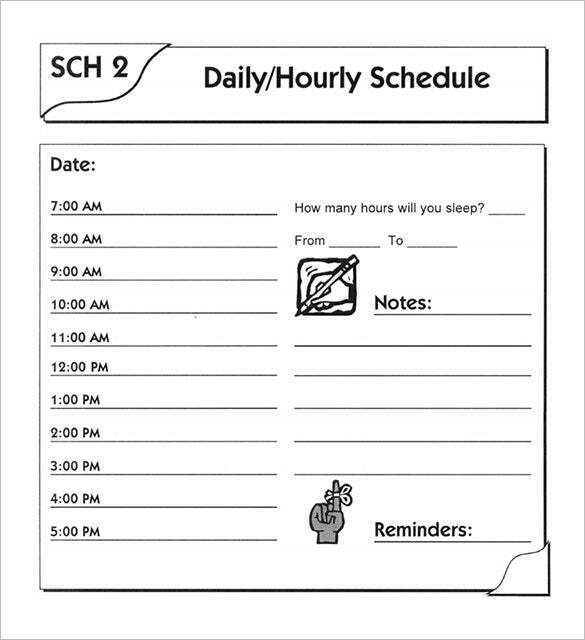 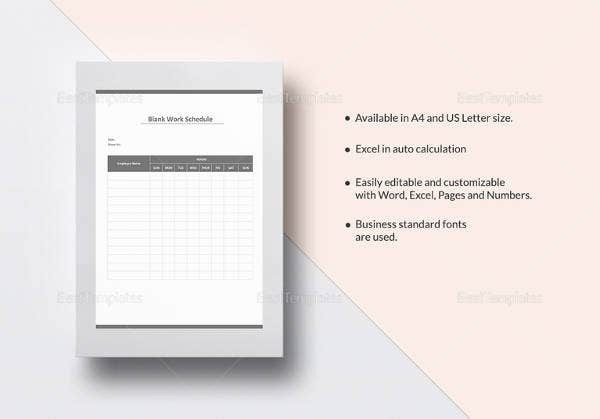 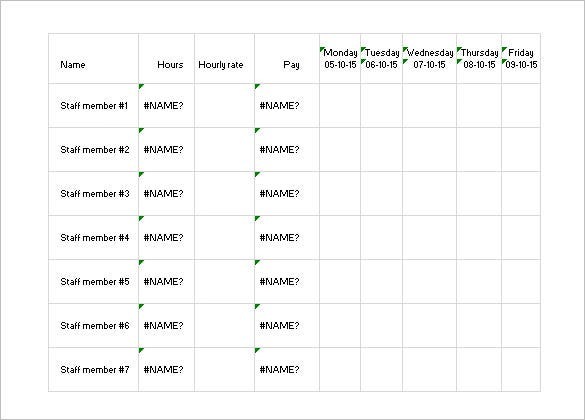 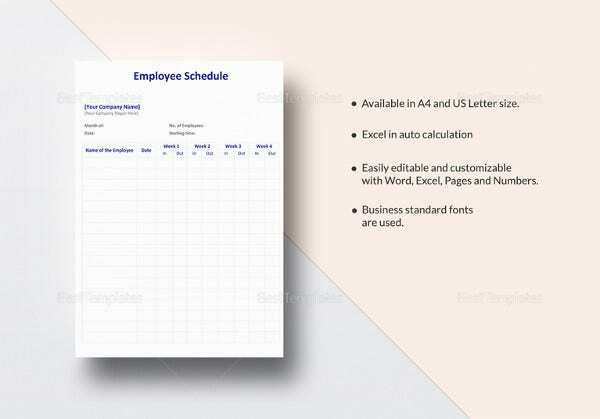 Why do you Need Daily Work Schedule Template? 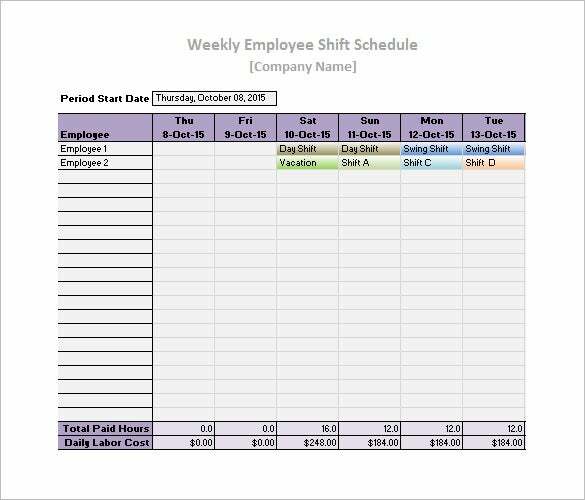 Your everyday work gets so much efficiently focused towards your long term goal when your efforts are thoroughly planned and organized. 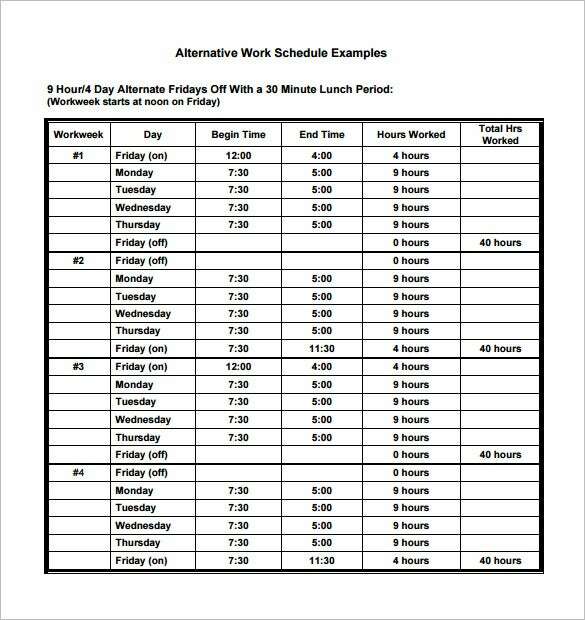 When you know what you need to do next, you can never miss an important phone call, meeting or lunch. 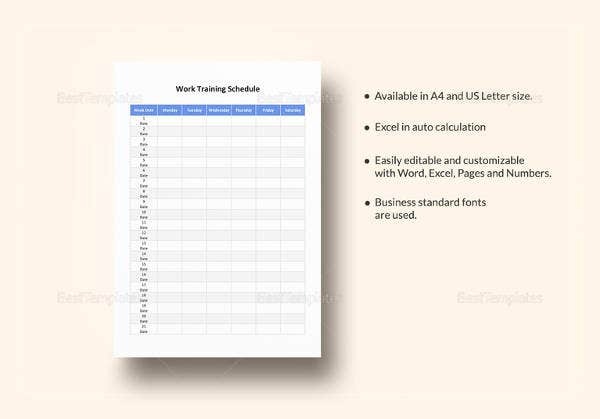 Shape up your future and work towards a well planned success with structured efforts at your work place. 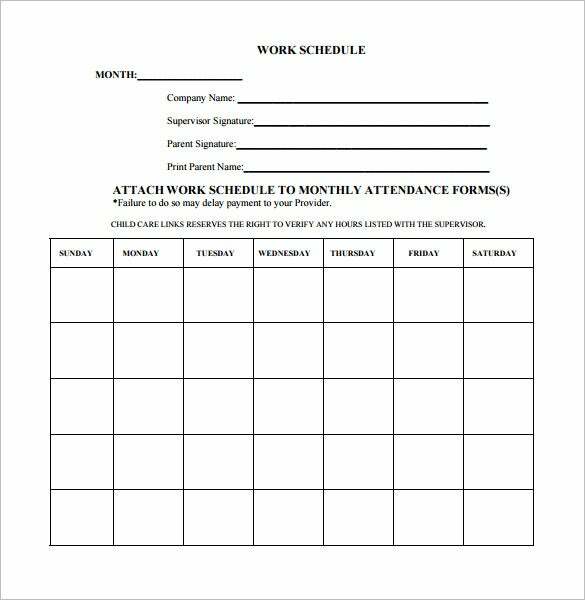 Keep a frequent glance on your daily planner to know if there is a change in appointments, meetings or any other event and be sure to get the memo.